It was not jet fuel prices, weak earnings, labor disruption, or air traffic shocks that caused United Airlines’ shares to plummet in April. It was a viral video. The delivery system for this weapon of reputational destruction was social media, a source of corporate risk that is now being taken just as seriously as the more traditional perils to business. Social media has brought about the rapid empowerment of consumers and has made it sometimes impossible for companies to contain negative publicity. A single tweet or video can quickly go viral and, if it strikes a chord, deliver immediate and lasting damage to a corporate reputation. This, in turn, can have long-term effects on the bottom line and share price. In some cases, adverse social media publicity can be enough to pull a business down. “Crisis communication has absolutely become more critical in the digital age … and the speed of communication has changed drastically,” said Scott Sobel, senior strategy and communications executive at Washington-based public relations firm Kglobal. Before the age of smartphones, Facebook, and Twitter, an embarrassing video might take days or weeks to surface, and its spread would be mediated by traditional media outlets. Now they spread like wildfire, and companies need to respond right away. “The longer you wait, the more damage to reputation can be done,” Sobel said. He says that even as more companies invest in crisis communications, “at least half” are not ready for one. United Airlines is the latest example. The viral video of a passenger being dragged forcibly from a commuter flight on April 9 shows how an incident can spin out of control on social media and lead to international outrage. United Continental Holdings Inc.’s (ticker symbol: UAL) stock fell 5 percent within a week of the incident, wiping out nearly $1.2 billion in market value. 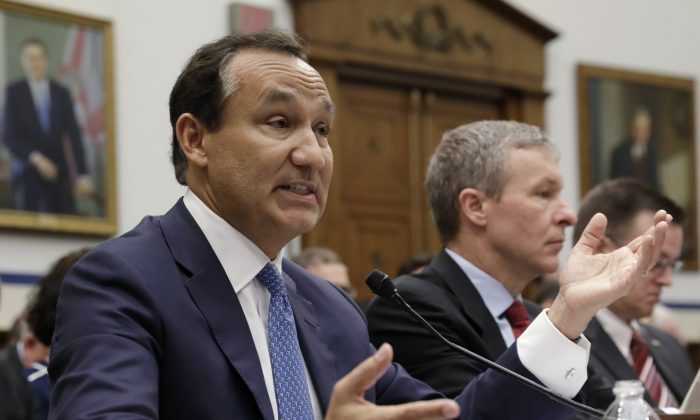 It didn’t help that United CEO Oscar Munoz initially went on the defensive. Instead of trying to repair the damage and admit to wrongdoing, Munoz described the passenger as “disruptive and belligerent” in a leaked email to staff. That simply poured gasoline on the fire. Adding to the irony was the fact that Munoz had received the Communicator of the Year award from PRWeek, a trade magazine for the public relations industry, just a few weeks prior. According to a new survey by The Harris Poll, 42 percent of U.S. consumers said United has a poor reputation, compared to only 7 percent last year. “United’s six-fold increase in negative corporate reputation sentiment shows us once again how quickly and severely a company’s corporate reputation can be damaged,” Carol Gstalder, senior vice president at The Harris Poll, stated in a report. United has been on the receiving end of social media ire before. In 2009, musician Dave Carroll made a video titled “United Breaks Guitars” about United’s alleged negligence in caring for his guitar, and failure to compensate him for the damage. The video became one of the top videos of 2009 and has racked up more than 17.3 million views. United’s viral video last month also highlights the highly transactional, narrowly profit-focused state of the airline industry. Airline travel is the lowest ranked industry in the United States for emotional connection, according to MBLM, a brand agency that analyzes bonds between people and brands. A strong emotional connection is determined by the level of positive feelings a customer has toward a brand. The stronger the bond, the easier it is for companies to manage communication crises because of the store of residual trust with customers. U.S. airlines have historically performed poorly in building these connections, according to Mario Natarelli, managing partner at MBLM. “The business of airline travel in America has become highly commoditized. And you can feel it in experience,” he said. U.S. airlines may do well to learn from companies like Emirates, which has a high score for emotional connection with customers. Samsung announced a recall of its flagship smartphone Note 7 in September last year due to overheating batteries that caused phones to catch fire. Videos and images of burning Note 7s went viral on social media, causing severe damage to Samsung’s reputation. The company recorded a 15 percent decline in mobile sales in the third quarter of last year and lost $3.5 billion in sales. But the company has managed to recover revenues and market share in 2017. Social media can act as a round-the-clock surveillance apparatus for the misconduct of individual employees, something that no company can fully guard against. A social media backlash can be triggered by something as simple as an ill-conceived tweet, or poorly thought through congratulatory email. This recalled the bomb attack at the finish line four years ago, sparking outrage. Adidas immediately apologized. In terms of the unforgiving world of social media, companies realize that they cannot control everything their customers or employees write, but they are increasingly recognizing that such crises are best handled promptly, with sincerity and compassion. “The forward-thinking companies have at least standard holding statements and reactions that show compassion for consumers and for any victims immediately,” Sobel said.